Yoga for Pregnancy is delivered by a teacher who is not a traditional yoga teacher but who has been specifically trained in the needs of pregnant women and women in the antenatal & post-natal periods. 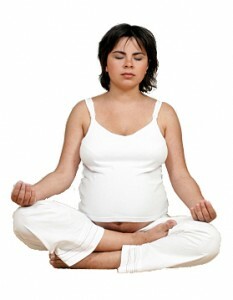 It involves a number of flowing movements and stretches, designed to nurture and strengthen your body during pregnancy. Any woman can take part in a class, no matter what your level of fitness and you don’t need to have any knowledge or experience of yoga. Each class will include an opportunity to discuss your pregnancy/birth and any issues that you have and a relaxation towards the end of each class. What can I gain from Pregnancy Yoga? Attending a yoga class during pregnancy allows you to take some time out each week to be with your baby, to think about how your body is changing through pregnancy, to share your feelings, positive and negative, and to stretch and relax. You can prepare for labour, birth and life with your baby. You can also learn to listen to and have confidence in your own body and your ability to give birth to your baby. You can start classes during the second trimester of pregnancy (weeks 15/16 onwards) when you can enjoy yoga-based exercises that will help you to adapt to the physical changes you are experiencing at this time and can take some time to bond with your baby. You can also find exercises to help you cope with some of the discomforts of pregnancy, such as backache, sciatica and heartburn. You can start to build up the strength and stamina that you will need for labour and for life as the parent of a new baby. During t he third trimester (30 weeks onwards), you can continue to practise relaxation and can focus on childbirth and labour. You can practise positions that will help you during labour and childbirth and you can prepare yourself emotionally for giving birth and for life with your baby. Post-natally, you can attend classes from 6 weeks after the birth of your baby and you can keep attending for as long as you like. You will still benefit from starting post-natal yoga classes up to a year after your child’s birth. Classes running throughout 2016. Classes take place at the Old Dispensary, St Mary’s Street, Ely, CB7 4ER. Tuesdays, 7.00 – 8.30pm £48 per block of six consecutive classes, starting from the first class you attend.There is currently a short waiting list for this class (2 – 3 weeks) – book now for a future date or enquire by e-mail or phone (01353 774968) about future classes. Using a Birth Ball is a great way to relieve discomfort during pregnancy, help your baby into the best position and practise positions for labour and birth. The Bumps to Babies Birth Preparation Workshops use birth balls to give you ideas for getting the best from a ball. Although you can buy gym balls cheaply, we recommend that you buy a high quality ball with a high anti-burst rating to ensure that you can use it safely during pregnancy and in labour. You can collect your ball from any of the Bumps to Babies classes. If you’d like it delivered to you, please add the postage fee of £4.50 using the second button. These can be used both antenatally and post-natally and are used in the Ely Antenatal Yogacise & Baby Yoga classes. They’re also a great tool for self-massage.They are available in 2 sizes: 7 inch diameter (blue) and 9 inch diameter (red).You can collect your ball from any of the Bumps to Babies classes. If you’d like it delivered to you, please add the postage fee of £1.00 using the second button.